Sunnylands’ landscape mimics the Impressionism and post-Impressionism artworks beloved and collected by Walter and Leonore Annenberg. By Maryann Ridini Spencer. Photography by Jon Edwards. With a little practice, you too can be a backyard-cooking master. Profiles by Matthew Link. Photography by Ethan Kaminsky. 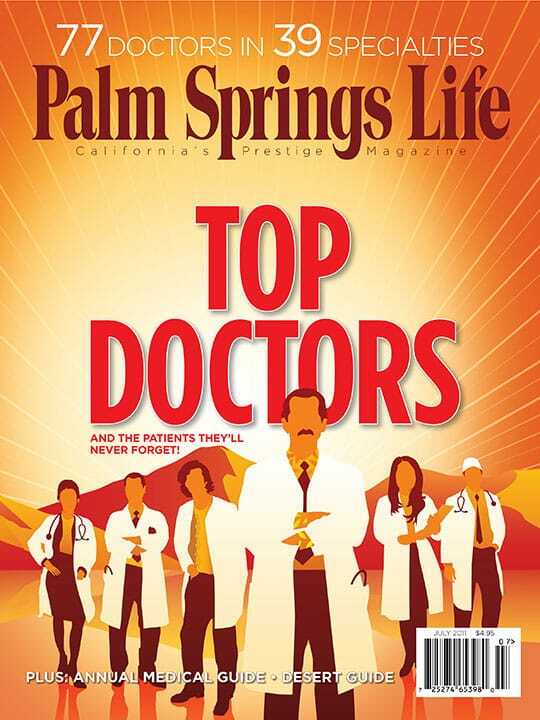 A physician-led research team identifies the desert’s 77 top doctors in 39 specialties. The (top) doctors are in! By Joan Page McKenna, Steven Biller, Mona de Crinis, and Janice Kleinschmidt. Actor Josh Holloway digging wilder-ness, summer cocktails, Brian Neil’s biographic film, Empire Polo Club’s Alexander Haagen, and more. A new exhibition celebrates the cool movement that saw geometry inspire high art. By Jorie Parr. Photography by Ethan Kaminsky. Cool, fashionable shades have a higher purpose. Earthly influence means solid business opportunities. Assess the health of your house, nutrition for cancer patients, get fit whoever you are, move beyond pain, help for sun-damaged skin, tips to control stress, and more. Plus, 1,000+ physician listings by specialty. Ninety Days of Summer. 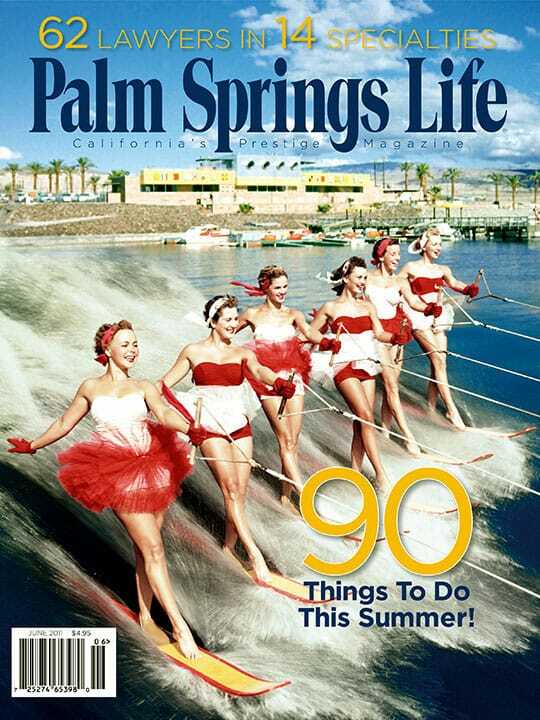 Plus: The official guidebook of the Palm Springs Desert Resort Communities Convention and Visitors Authority. 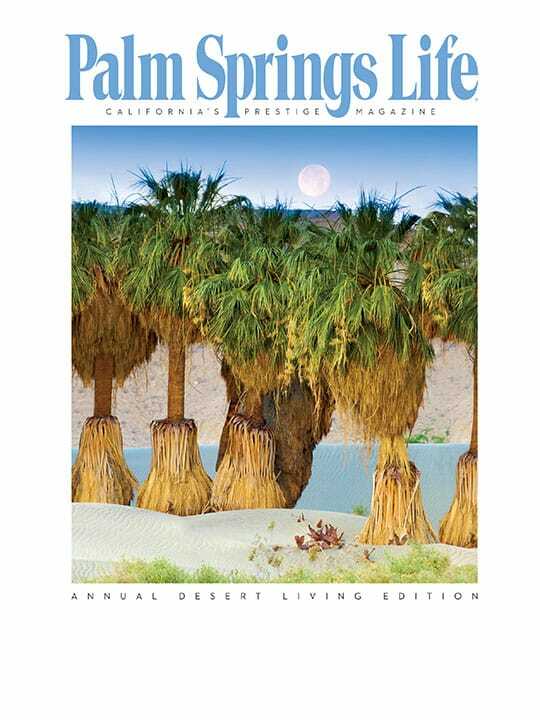 Everything you need to know about what’s happening in the desert.